In my previous post, Heroes of Hearthstone – Card Based MOBAfication, I detailed my idea for a card game that mixes a MOBA style set up with card battling in a cyberpunk world. Since that post I’ve come up with a few new ideas on how to execute this idea feasibly. The first challenge I can foresee is working out balance in a cards and hero abilities. The games I’m looking at as inspiration have gone through rigorous testing to ensure they play well, so exploring their subreddits and looking through early forums has come in handy to get a few ideas. My current thinking is to have a basic set of minions and abilities across both sides, adding the more powerful cards slowly with playtesting. Focussing on getting the core game working is the most important part, and mechanics can be expanded from there. My other thought influencing design is the concept of making the audience an active part of the game. Magic: The Gathering and Hearthstone are both pretty huge with dedicated communities producing content around that game. Be it streams, deck building resources or even game expansion ideas, closely involving the audience is a no brainer when wanting to create a successful and enduring game. That audience is one I aim to keep as large as possible. Simple things like ensuring art and game content fits the theme and maturity of the game without every getting too dark, violent or otherwise explicit means that anyone with an interest in the genre can get immersed in the design of the game. That being said, being a card game with expansions, extra characters and customisable decks, it caters to an audience with a disposable income willing to invest in a game they enjoy. The pay off for this is the ability to build one (or more) of the game’s roles to your personality, and also to that of the other players you’re engaged with. This sort of social aspect is good for keeping people interested, but also to bring new people in. While word of mouth is a powerful marketing tool, so is captivating art. Many of the indie games, comic books and card game decks I’ve ended buying have spoken to me through their art and presentation. Finding an art style and design that mesh well and is attractive to my audience is a high priority in the marketing stage. Once the issues of design are complete, the good thing about production of this as yet unnamed game is that it’s literally a deck of cards, meaning the costs should be relatively low. These cards are already designed to be mass produced and sold, making it a convenient way to ship without any plastic figures or large game boards. In the scenario this game was printed and sold, I’d aim to produce an all in one starter set for around $60, giving you two sets of three characters. By placing additional character packs and decks at around $15, similar to Magic starter decks, expansion is allowed and encouraged without being excessively priced for those who desire extra options. Australia is lucky enough to have a dedicated amount of people invested in this style of game, with the shops to support it in even smaller towns like Nowra and Wollongong. Having this sort of network up and running already is a great asset to the potential distribution of a new trading card game – the problem lies in cracking a market already dominated by big hitters. 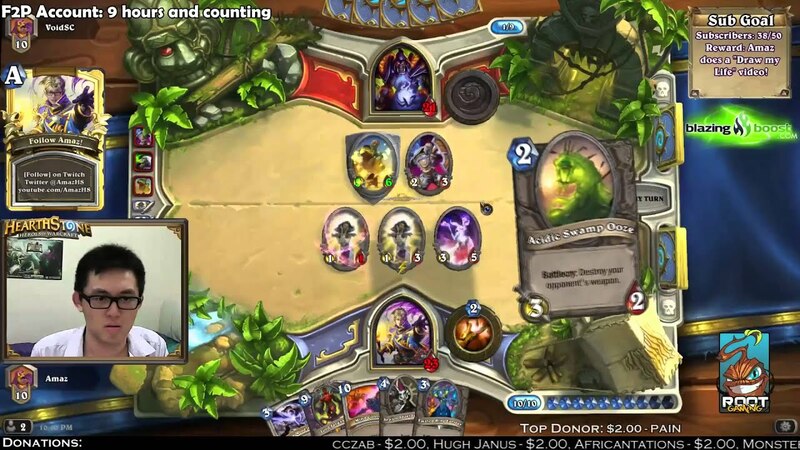 Hearthstone… LoL… But Cyberpunk? Take my money. In all seriousness though, this idea immediately had me hooked, so I was interested in seeing how you would manage to make a game as well rounded and balanced as Hearthstone or League/Dota (especially if it aims to be as competitive as them). I think checking old archives and forums is a great solution without an impossible amount of work. I had similar thoughts regarding marketing as I’m also working on a card game. The problem of breaking into an industry already dominated by hugely successful games is one I hadn’t considered. I think that’s a vital aspect to ponder if you want this to be a hit. Good luck and Great work, Jayden! Next Post Robinhood? The Wolf of Wall Street? Greed is Good?